Posted Thursday, September 26th, 2013 by Steve Leigh. If you work in a busy office, there is a very good chance you have some empty ink cartridges piling up, waiting to be sent to a recycling facility. 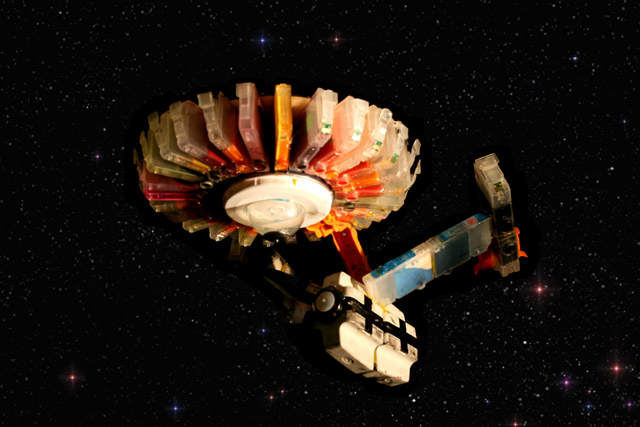 Well, a few creative individuals have found an even better use for their empty ink cartridges: making artwork! Whether you create a diorama with ink cartridges as the backdrop, or take a more functional approach and create a colorful lamp, you can use these ideas to inspire your own creations.